Passionate audiophiles with an eye for fashion meet their audio-destination at V-Moda. Coupling high-tech audio systems with eye-catching design, V-Moda blends the best of both worlds for music enthusiasts. 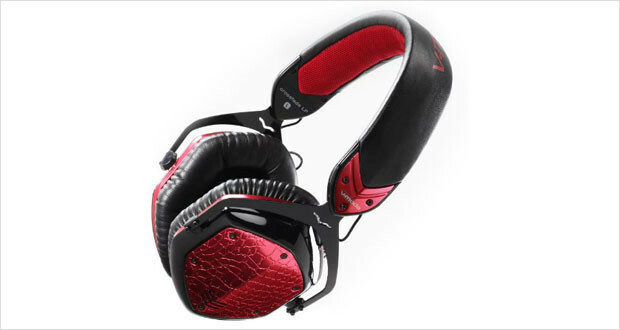 The V-Moda Crossfade LP headphones comes in a pantheon of high-edge colour schemes. The metal trimmings on the headphones offer a classier range of audio-devices for those with a slightly finer taste. Smart and edgy, the headphones are a decent gamble for music enthusiasts who are looking for a high-end performance with the comfort factor to boot. Providing a feeling akin to a live concert, with the music almost tangible with its panoramic clarity, the headphones are one of the best over-the-ear headphones in the run. BLISS (Bass-Level-Isolating Soft Silicon) technology isolates sound to the fullest, providing absolute sonic seclusion. Add to boot the memory foam earcups and adjustable headband provided for maximum flexibility of use, and the V-Moda Crossfade LP headphones become one of the best midrange noise-cancelling headphones in the market. Wide range of frequency response; from 8Hz to 22KHz. A design that seamlessly weaves metal, leather and plastic to produce some of the best looking headphones in the market, the V-MODA Crossfade LP headphones score high on their fashion attitude. Available in 5 classy colour schemes: Phantom Chrome, Nero, Gunmetal black, Pearl and White Pearl, V-Moda brings a range of elegant and classy headphones to the customer with just the right amount of edge. A comfortable fit is ensured with the adjustable headbands that can be adapted to different head-sizes to provide a secure stay. Dimensions7.1 x 9.4 x 4.4"
The V-Moda Crossfade LP headphones are sophisticated and solid in construction, with high quality materials lending the product durability and life. The memory foams offer a snug fit, though they might not be a good idea in warmer climates. The flexible headband allows for adjustments to arrive at the best fit. The treble is vivacious and lively. Midrange is cleverly blended, vibrant and organic. Bass performance is supreme with the dual-diaphragm drivers separating the bass form bleeding into the highs and mids. The BLISS (Bass-Level-Isolating Soft Silicon) technology that the V-Moda Crossfade LP headphones is enabled with, aim at maximum noise isolation. Memory-foam cushions adjust around the ear to give passive noise reduction. The headphones deliver a sonic experience as smooth as butter. 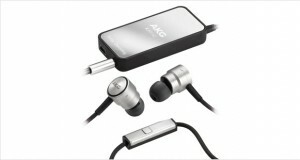 Highly efficient, they can even play at high volumes without any distortion. Style meets substance in V-Moda’s headphones. 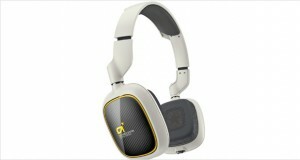 The Crossfade LP headphones are comfortable, trendy and sophisticated with a solid build and a classy design. The metal side pieces are edgy and rugged, leading durability to the product. Soundstage is immersive but require a bit of burn in. They are dull straight out of the box. The 45 degrees angled jack ensures that least amount of tension or pressure is applied at the junction, leading to minimal damage due to yanking. The headphones are fairly highly priced, but for a headphone that provides an audio experience like the V-Moda Crossfade LP headphone does, it’s worth a buy.